Hajj is a very special time for us; the amount of reward available is immense, and it is truly an opportunity to seek forgiveness and become closer to Allah . But what practical ways are there of doing this? The best way to find out is to look at the life of Prophet Ibrahim . One of the greatest lessons we can take from his life is that of sacrifice. When Ibrahim was asked to sacrifice his son Ismail it was truly a test for him to see who was dearer to him. So what sacrifices are we making to become closer to Allah ? Allah made Ibrahim’s son a prophet. What greater honour could there be? Imagine the reward we can gain from sacrificing for Allah . If you feel like you had an iman- high during Ramadan that has slowly dwindled, use these ten blessed days to rekindle the sweetness of iman you felt during that time. The blessings and rewards during these days are comparable to the days of Ramadan, so go back to the actions you did during the fasting month: fast, read Qur’an and give charity in abundance. Are you guilty of saying any of the following? “There are two blessings which many people lose: (they are) health and free time for doing good.” [Sahih Bukhari]. So let us take out time to get closer to Allah while we are healthy. Think about how much time we give for leisure – what if we gave that time to Allah ? When we can’t sleep, why don’t we spend this time doing adhkar gaining reward or getting out of bed and doing qiyam? When we think about starting a new TV series, look into starting a tafsir series on YouTube, or reading something beneficial. The time that we spend gaming, why don’t we use that time for personal and professional development like learning a new language or doing volunteer work for the community? Sacrifice your time to rid yourself of bad habits and pick up new ones. Develop your skills, increase your knowledge, and gain closeness and taqwa of Allah . The time that you sacrifice doing this will have an imediate impact on your character and connection with Allah . The best way to incorporate regular alms-giving in your life is to find something in your life that you spend money on, something that is a hobby or a luxury you allow yourself and calculate how much you spend on it a month. How many times a month do you go out for lunch or dinner? How many times do you buy coffee in a month? How much money do you spend on clothes per month? Calculate all that spending, and sacrifice just half of it for charity. If you buy lunch every day, spend extra time making lunch at home and save that money for charity. Skip the coffee for one day and save these coins for sadaqah. Instead of eating out this week, recreate the meal at home for a fraction of the price and save the extra money to give to a project you feel passionate about. By sacrificing these little luxuries a few times a month, you are physically showing that charity is dearer to you. You may feel that these small amounts are insignificant, but if we all, as an Ummah, start doing this, what is seemingly insignificant can have a really positive impact on the lives of many people in need. I will be the first to say that this is not always easy, as some family problems can be severe and can be ongoing for years, but when you realise that relations with your family are tied to Allah , this will make you think twice about whether you wish to continue to sever them. This week I want everyone reading this to do something, sacrifice just five minutes of your time and contact a family member who you have difficulty with. Connect with them, ask them how their day was and ask them to forgive you for any wrongdoing. Even if you are the one has been wronged, make this action a humble sacrifice for the sake of Allah . A saying that we have back home is “words don’t cost money”. Do not allow your pride to make kind words difficult for you to say, and I guarantee that those kind words will weigh heavy on your scales when we meet our Creator. One of the greatest sacrifices that we have to make are giving up our desires. This can be in the form of relationships, earning haram income or watching things that we aren’t supposed to watch. If you have a desire that takes you away from what pleases Allah then now is the time to sacrifice it to seek the forgiveness of Allah . Giving up something we love is difficult, and it can be especially hard when it takes us away from Allah , because our hearts become hard, and what we would once consider something we would never do becomes easy. What takes us away from Allah becomes attractive to us. This is really the perfect time for us to soften our hearts and give up whatever is not bringing us closer to Allah because I promise that whatever you give up for the sake of Allah , you will be rewarded with more than you could ever imagine. Indeed this is easier said than done, and will be difficult, but remember, the greater the sacrifice, the greater the reward. 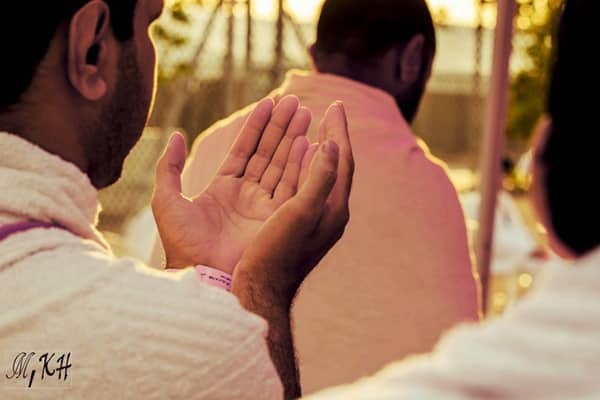 During the last few days of Dhul Hijjah, make the intention to implement all of these sacrifices in your life, just as Prophet Ibrahim was ready to sacrifice his son for Allah . Once this becomes a habit, watch how the barakah of Allah will enter your life and make you more productive! So, what are you going to sacrifice for the sake of Allah this year? Let us know in the comments below! P.S: If you don’t think making sacrifices is any easy task, stay tuned to Part 2 of this series for more tips!